Story Synopsis: The episode opens at the Sendou household. Aichi asks his sister Emi and his mother Shizuka for permission to go overseas and attend the Asia Circuit. Emi opposes this, believing that Aichi will get lost, but after careful thought Shizuka allows him to travel with Q4. Later, Aichi goes shopping with Misaki and Kamui in preparation for their trip. Aichi explains that Kai will not be attending the Circuit on their team. At Sendou's suggestion, the three of them take a train to the card shop PSY--while Kamui thinks that it's to prepare their decks for the tournament, Sendou has personal reasons to go. He intends to confront Ultra-Rare about the cards they gave him, the King of Knights, Alfred and Majesty Lord Blaster, as well as those cards' disappearance and just what the Gold Paladins are. Despite Kamui initially wondering if it's okay for a Card Capital employee to be visiting a rival shop, Misaki insists that it's fine. At PSY they find Rekka struggling to pack the idols' suitcase in preparation for the Circuit. Suiko explains that the shop will be closed for some time, while the three of them take leave for Singapore. Aichi quickly slips in a question to Kourin about if she still uses a Royal Paladin deck, but Kourin is unable to recall any such clan. While Ultra-Rare has no issues with Aichi going, Rekka mocks his choice of teammates, challenging Misaki to a fight. Kourin protests, but Suiko gives her approval and the two begin a confrontation at the shop's fight system. Rekka floors Misaki with her Angel Feather deck, maintaining total control of the fight throughout. As the group leaves Rekka wishes them well, but assures Team Q4 that they "definitely won't win." "Have fun at the Circuit! 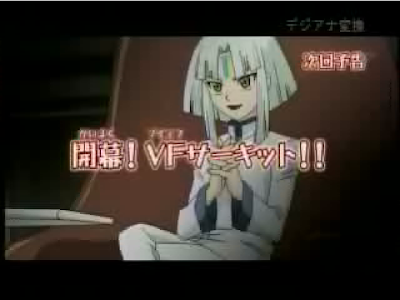 Though, I don't think you'll have much..."
The episode preview shows the return of Team Caesar, the introduction of the brand-new Team Genius, Takuto's scheming and Burning Lion, Blonde Eisele. Today's Card was the Great Silver Wolf, Garmore. Aichi went over his limit break skill.